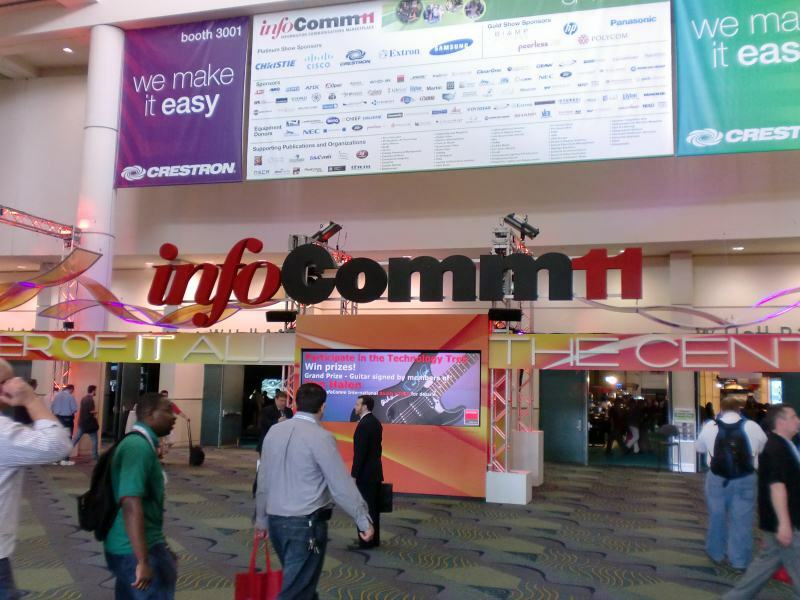 With InfoComm edition 2011 over for quite a while now (more than a week) there are very few things to say about it that haven’t been already said. Adrian Coterill (the DailyDOOH) as well as Chris Fitzsimmons and Anna Mitchell from InAVate, just to name a few, did a great job in tweeting, blogging and filming the most notable bits and persons of the event. 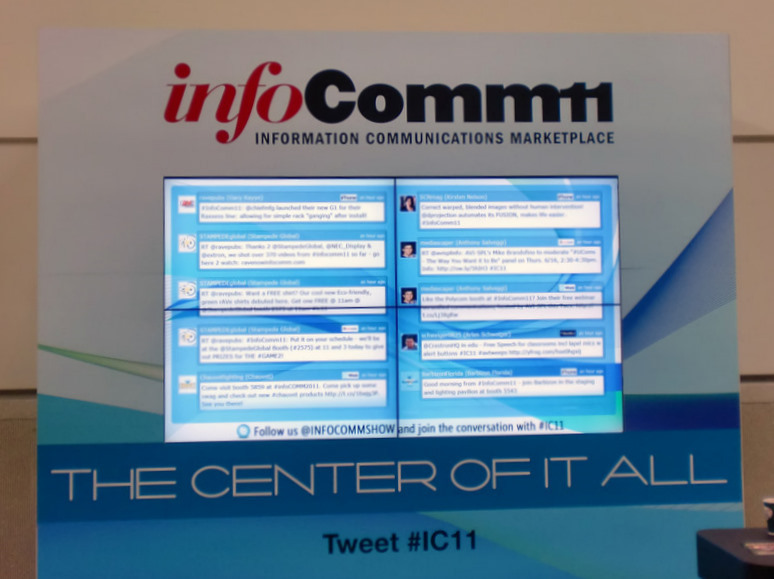 Therefore, we will limit ourselves to posting a few photos that will hopefully give you a taste of InfoComm’s atmosphere this year and to reiterating some of the industry comments on the event. Here’s another example of merging social media with digital signage. P.S. Good job, #avtweeps ! The Twitter Wall was continuously updated. Intel’s Open Pluggable Specification for media players– another effort towards standardisation- is adopted by the digital signage display firm- NEC Display Solutions. According to Jose Avalos- Intel’s Director of Retail and Digital Signage, the company’s intention is ”making the media players as interchangeable as car stereos” (DigitalSignageToday). He defines the OPS as a specification that defines the size of the pluggable and the connector, and the electrical interfaces for the connector”. The spec doesn’t mention anything about processor speed, RAMs- computer memory, being focused just on the physical aspects of the hardware to be plugged in. 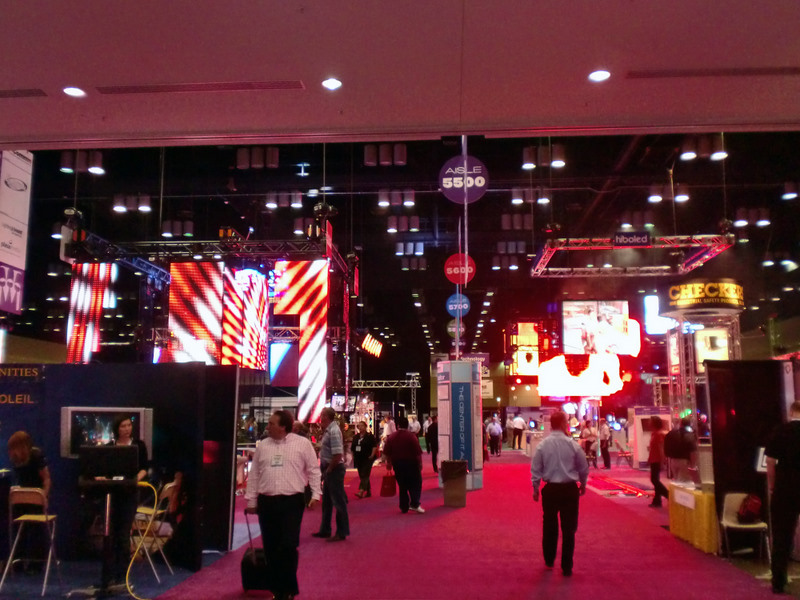 According to sixteen-nine the show was attended by a variety of AV providers, some of whom had- and some of whom didn’t have something/anything in common with the digital signage sector. 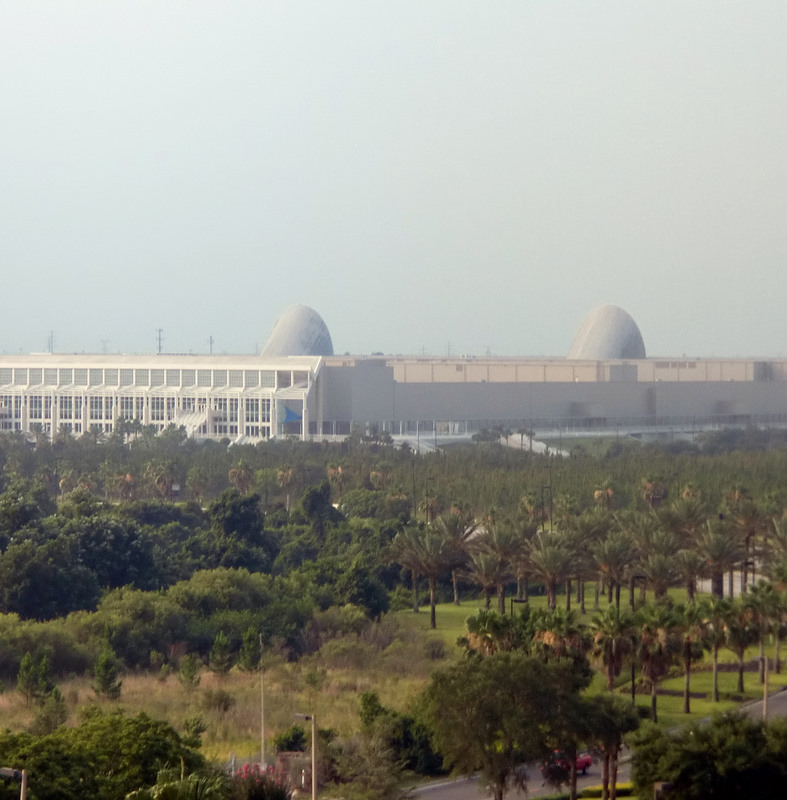 All in all, an attendance of 33,000 visitors makes for a big show whose ultimate usefulness varied from company to company and their purpose for being there.